From The Claremont Review of Books. June 7, 2016. Alfred Hitchcock: The Man Who Knew Too Much, by Michael Wood. Hitchcock on Hitchcock, Volume 2: Selected Writings and Interviews, edited by Sidney Gottlieb. Alfred Hitchcock, by Peter Ackroyd. Hitchcock à la Carte, by Jan Olsson. Hitchcock Lost and Found: The Forgotten Films, by Alain Kerzoncuf and Charles Barr. I’m sure I would not have felt any of this if I hadn’t known of Hitchcock’s involvement in the film. I don’t attribute the shot to his guidance; I am not making a rational or causal claim. Indeed, this particular sequence was probably completed before Hitchcock came to work on the film. But Hitchcock can change the way we see. Sometimes the name alone will effect the change, and our minds do the rest. Perhaps he intends by this observation to adduce a hitherto unknown corollary of the Kuleshov effect, one of Hitchcock’s favorite film-making principles, which explains how cutting or montage — context, as the non-film-making world would describe it — affects what we see, and how we understand what we see. In any case, the observation has a contextual effect of its own when put together with Wood’s subtitle, which is also the title of a movie Hitchcock made twice, once in England and once in America: The Man Who Knew Too Much. It’s not just that Wood takes the great director’s interest in the processes and consequences of knowing and not knowing as his theme. What, after all, is the "Suspense" that Hitchcock was said (perhaps most often by himself) to be "Master" of but knowledge deferred or denied? It’s the not entirely pleasurable thrill you get from not knowing something that you desperately want to know — whether the bomb will be discovered before it goes off or the policeman will turn around to see the innocent fugitive escaping. But, in the quoted passage above, Wood, too, claims to know too much. Or rather, he makes a claim to knowledge to which he is not reasonably entitled solely on the grounds of his reverence for the allegedly iconic Hitchcock’s genius. What he knows or thinks he knows is of less interest or importance, either to him or to us, than how he knows it—merely through his knowledge of Hitchcock’s participation in the film. the nonsense clause in his films which ties together the improbabilities and implausibilities. It is, to use a more familiar phrase, the red herring, the device that sends the plot and the characters on their way — such as the attempt to assassinate a foreign leader in [The Man Who Knew Too Much] — but remains of little or no interest to the audience; it is simply an excuse for all the activity on the screen. That definition is slightly misleading, since a red herring implies a distraction or a detour from the real trail the heroes (or the villains) are trying to follow. To Hitchcock there typically isn’t a real trail — or not one that matters any more than a false one for its own sake. Everything matters only subjectively, through its effects on the main character — and through him or her on the audience — whether the knowledge is true or false. For Hitchcock the important realities were always mental ones. That’s why Gottlieb writes in introducing one of the interviews he reprints that Hitchcock "comes close to saying that story in general is itself a MacGuffin: extremely valuable and captivating but basically a pretext. The key challenge, if not paradox, is that story should get and keep things going, catching the attention of the audience, but not get in the way or dominate." Get in the way of what? The answer must be emotion in general — a film studio is an "emotion factory," says Hitchcock in an article he wrote in 1928 — and fear in particular. French film director François Truffaut classified him among the great "artists of anxiety," along with Edgar Allan Poe, Fyodor Dostoyevsky, and Franz Kafka. Suspense is of course also a form of fear. Fear and doubt (the words were once interchangeable) go together, and what we fear is most often the unknown, which is the fear that Hitchcock himself shared as he sometimes claimed in interviews that he was himself fearful of almost everything — which is why he demanded to live according to strict routine. Though he has been much criticized for his off-the-cuff dictum that the key to making successful melodrama was to "torture the women," it’s clear that the purpose of such fake torture on the screen was to torture the audience in real life. Anything else, including plot and character — which interested him hardly at all — was secondary to this emotional manipulation, and he had nothing but contempt for those he variously called the "plausibles" or "plausibilists." He always insisted that movies had a logic of their own that made the logic of the plausibilists redundant. And in his films he very often pits his heroes against their own version of the plausibilists, eager to point out to them that the things they think they know cannot possibly be true — although they invariably are true, or become true merely by their knowing them. By knowing too much. Thus when Cary Grant is mistaken for a non-existent American agent in North by Northwest (1959) he finds that he himself has become the man. The great examples, however, are The Lady Vanishes (1938) and Rear Window (1954), wherein Margaret Lockwood and James Stewart, respectively, are both constantly assured that plausibility demands they deny the evidence of their own senses, though both are vindicated when their respective love interests (Michael Redgrave and Grace Kelly) choose to believe them instead of the plausibilists. What cannot be true, must be true. In his earliest interview with Truffaut, reprinted by Gottlieb from Cahiers du Cinéma, Hitchcock says of The Wrong Man (1956) that "my direction is entirely subjective" — as it typically is in other examples of "the wrong man," from his 1926 silent film The Lodger to Young and Innocent (1937) to Saboteur (1942) to Strangers on a Train (1951) to North by Northwest to Frenzy (1972). The paradigmatically nightmarish situation in which one is pursued for a crime one has not committed is fear at its most basic. And even when the apparently wrong man becomes the right man, as in Shadow of a Doubt (1943) or Stage Fright (1950), the audience’s surrogate (a vulnerable young woman in both cases) must be taken in by the deception along with the audience. Either way, it is the audience’s latent paranoia he is always appealing to. Thirty-five years after Hitchcock’s death, the justified paranoiac has become a cinematic cliché — though probably less through the Hitchcockian model than its vulgarization in a thousand second-rate horror movies and would-be political allegories where only one person knows the awful truth and desperately tries, mostly without success, to alert the rest of the town, country, or world. By this roundabout method, Hitchcockian mistrust of authority — sometimes humorously attributed in an anecdote, which no biographer has been able to verify and which is doubted by Ackroyd, to his father’s having asked the local police to lock up the five-year-old Alfred to teach him that "This is what happens to naughty boys" — has now become the cultural norm. Michael Wood tries rather unconvincingly to politicize Hitchcock’s fears when he cites what he calls German critic Theodor Adorno’s "version of the saying that even paranoids have enemies" in his retrospective anticipatory fear of Nazism. But it seems to me rather a stretch to write, as he goes on to do, that Hitchcock’s conspiracy movies of the 1930s were meant to warn his fellow Britons of what they were insufficiently paranoid about during that decade. 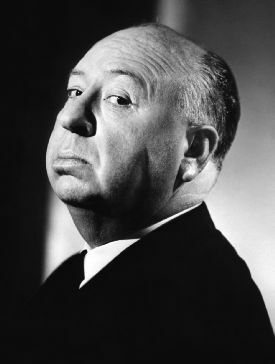 It would be much more likely that Hitchcock simply understood better than most others the commercial value of entertaining people by manipulating their already existing fears. But the question arises: is the Hitchcockian mode adaptable to anything but his peculiarly effective sort of cinematic illusionism? Does it have anything to do with anything in the real world, or is it just a sort of MacGuffin of its own, a part of what everybody agrees was Hitchcock’s genius for marketing and publicity — and self-publicity? Jan Olsson’s book, Hitchcock à la Carte, is particularly good on this aspect of the man. It shows how from his first arrival in America in 1937 he saw the potential benefits to the Hitchcock brand of marketing himself as an overweight buffoon and supposed gourmand with an equally ponderous wit, both in talking about his films and in the films themselves. This book is also valuable for its extensive treatment of Hitchcock’s two television series, Alfred Hitchcock Presents, which ran on CBS and NBC from 1955 to 1962, and The Alfred Hitchcock Hour from 1962 to 1965. His weekly introductions to the TV shows, most of them scripted by Jimmy Allardice, were meant to play up to this image as well as to provide a way of ironically moralizing a great many of the episodes which would otherwise have fallen foul of network and sponsors by showing murderers and other criminals too sympathetically, or allowing them to escape uncaught and unpunished. Unfortunately, much of his book is written in the often impenetrable jargon of lit and film "theory," which makes it a chore to get through —in addition to imperfectly disguising the unremarkable quality of many of its critical insights. For the more strictly cinematic sort of genius which everyone agrees Hitchcock had, the best bets are the volume edited by Gottlieb, and the exploration of the lesser-known byways of his long career, Hitchcock Lost and Found, by Alain Kerzoncuf and Charles Barr — though the latter, consisting so largely of piecing together bits of information about films that no longer exist, is likely to be of more interest to Hitchcock scholars and biographers than a general audience. But the authors also quote from Drexel University’s Paula Marantz Cohen the great justification for Hitchcock scholarship, which is that "to study him is to find an economical way of studying the entire history of cinema." 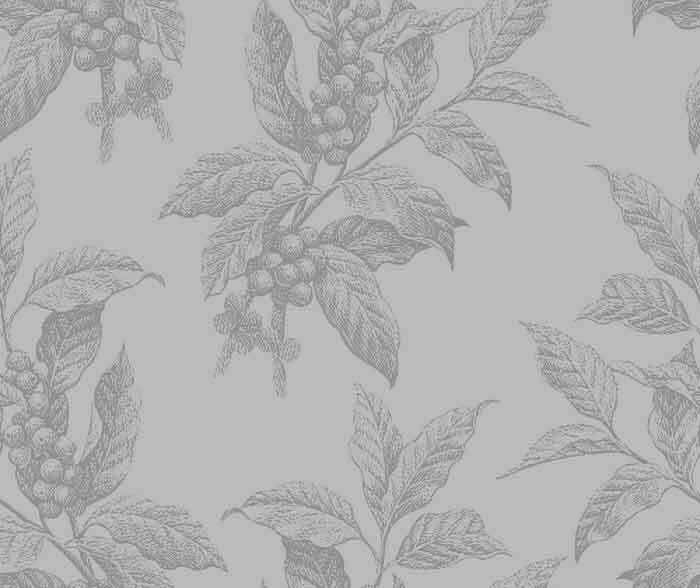 preferred anecdotes and technical detail to any disquisitions on theme or meaning. He did not wish to enquire too deeply into his motives or the reasons for any particular subject or film. He was only interested in content or plot in so far as they prompted his visual imagination. That’s the summary of Peter Ackroyd’s book, and it fits well with what we know of Hitchcock from Wood and other witnesses. But it is also clear that that imagination was always in the service of commercial success. I’ve never made that mistake since. If you get the suspense from an audience from a thing like a bomb, it mustn’t go off. It’s got to be discovered and thrown out of the window. You’ve got to relieve that suspense in other ways. Otherwise they get angry with you. In Conrad’s subtle and prescient investigation of the mind of a terrorist, of course, the death of the boy is central, indispensable. But Hitchcock is only interested in sending the audience home happy, not in the mind of the terrorist. Nor, for that matter, in other kinds of mind either. You can’t see the ending of Psycho — when, as someone on the crew is reported to have put it, "the head shrinker comes on and explains it all" — and preserve any belief in Hitchcock’s interest in psychology as anything but a joke. This made for some interesting interactions with the newer sort of "method" actors in Cold War-era America. According to one report, Paul Newman is supposed to have made the mistake of asking Hitchcock what his "motivation" was in a particular scene of Torn Curtain. "Your motivation is your salary," answered Hitchcock. An equally revealing comment from the Macklin interview comes in answer to Macklin’s question about whether he ever discovers new ideas in the course of making a film. "No," says Hitchcock. "It never happens?" asks the interviewer, incredulously. "No," Hitchcock repeats. Elsewhere we are told that he storyboards everything in advance, so that the film already exists in his head before filming actually starts. As Gottlieb writes, he cannot have been entirely joking when he said, "I wish I didn’t have to shoot the picture." Director Peter Bogdanovich has written that Hitchcock referred to the physical process of film-making as "the area of compromise." In an important sense, Hitchcock went on for his whole career making the silent films in which he got his start. Michael Wood relates the opinion of Anthony Perkins, who starred as Norman Bates in Psycho (1960), that Hitchcock was shocked to discover "that audiences at screenings…were laughing as well as screaming" at the famous shower scene. Perkins said: "He was confused, at first, incredulous second, and despondent third" — but, writes Wood, "from then on he claimed to have had his tongue in his cheek all along." Ackroyd quotes him telling an interviewer in 1964 that "I once made a movie, rather tongue-in-cheek, called Psycho," intending it to be "a big joke. I was horrified to find that some people took it seriously." Was he there misremembering his own state of mind at the time or was Perkins mistaken? As in so much of Hitchcock, both ways of seeing it could have their own truth, but that in itself suggests that he ought to be recognized today, among his many other accomplishments, as the progenitor of postmodernism. As Hitchcock told Peter Bogdanovich in 1963, "The area in which we get near to the free abstract in movie making is the free use of fantasy, which is what I deal in." Or was this always implicit in the elusive and illusory history of cinema itself, with which Alfred Hitchcock’s career is so often identified?